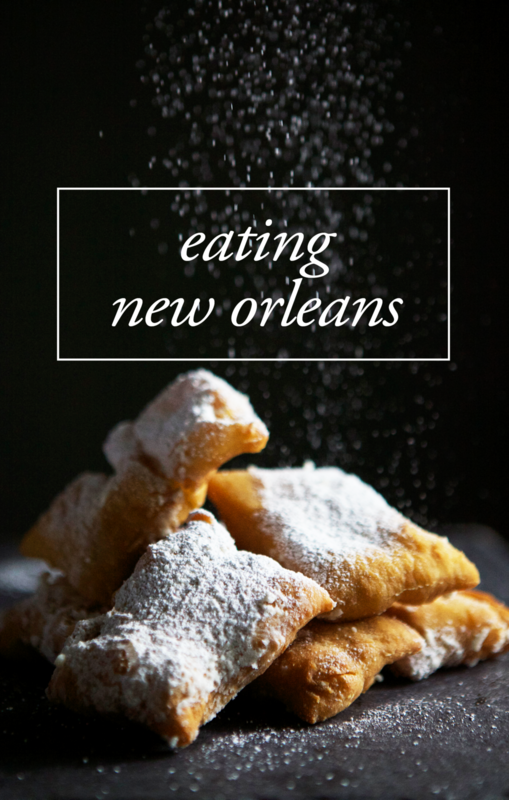 Fat Tuesday is back again this week, here to highlight yet another great Mardi Gras treat from across New Orleans. Today marks only two more weeks until Mardi Gras Day! Most of all, I cannot wait to be out of school for a whole week. I'm essentially blogging via the grave right now because of my midterms. On a sweeter note, I picked up one of my absolute favorite King Cakes to share with you guys! This beauty comes straight from New Orleans' own sugar mecca, Sucre. Between their wide selection of macarons, gelatos, chocolates, and desserts, it should come as no surprise that Sucre is one of my absolutely favorite spots in the whole city. There's nothing better than stopping by late on a Friday or Saturday night to get my sugar fix. First of all, this King Cake is definitely the most beautiful one I've ever seen. Seriously, it looks like I probably shouldn't be eating it. So glittery! If that isn't enough to lure you in, it's out of this world delicious. 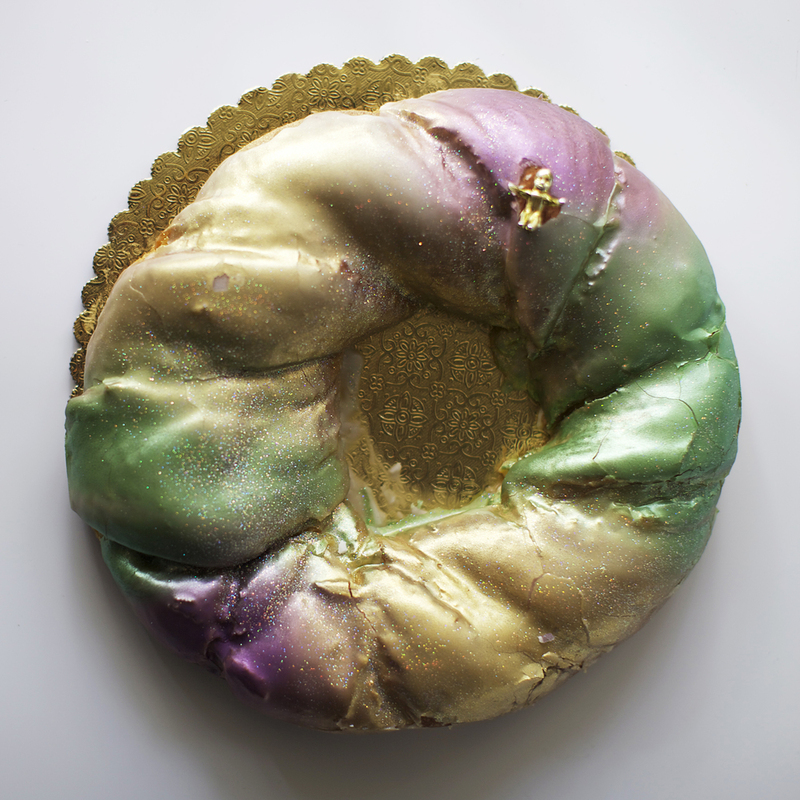 Chef Tariq Hanna puts his own spin on the traditional king cake by taking a handmade buttery Danish dough flavored with cinnamon and raw cane sugar, filling it with creole cream cheese, and then topping it all off in a sugar glaze and purple, green, and gold glitter. Pop it in the microwave for 10 seconds and viola! So crave-worthy that I've had a piece three weekends in a row now! Now here's the fun part! 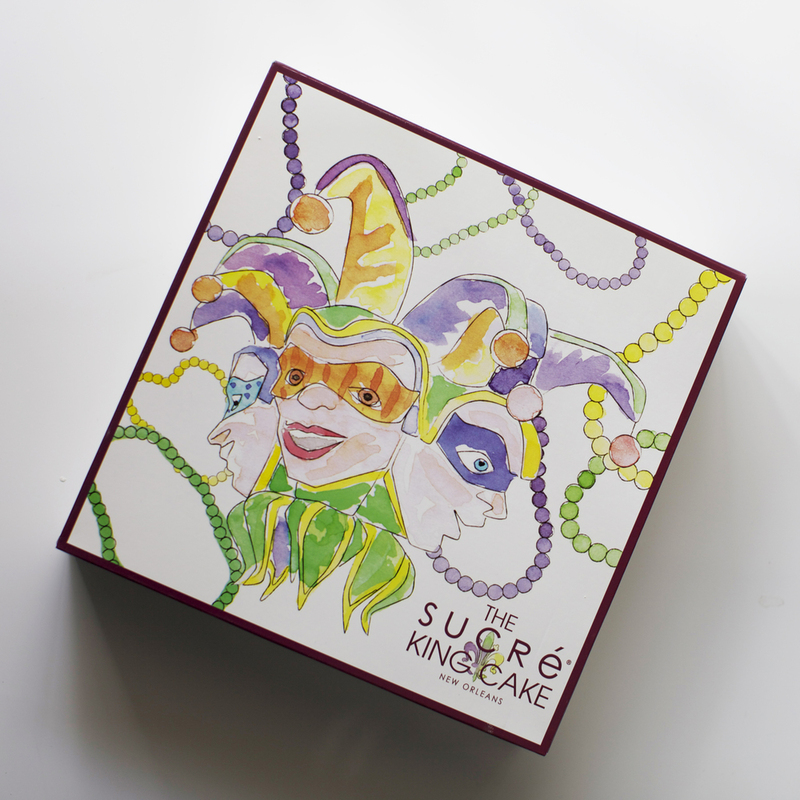 I want to share one of Sucre's delicious King Cakes with you guys, so I'm giving one away! You can enter below and there are plenty of ways to rack up entries from commenting to liking my Facebook page. The contest will last through Sunday, so make sure to enter. The winner will receive one of these delicious king cakes, shipped directly to you from Sucre New Orleans — good luck!